Erie Shore Vineyard is a family run estate winery, owned and operated by Harvey & Alma Hollingshead. They specialize in 100% estate grown VQA wines. Colio Estate Wines has a tradition of award-winning viticulture and winemaking that blends experience, modern innovation and a palpable passion. Pelee Island Winery is Canada’s southernmost and largest estate winery. One of only three “Designated Viticultural Areas” in Ontario, Pelee Island is home to over 500 acres of vitis vinifera vineyards. 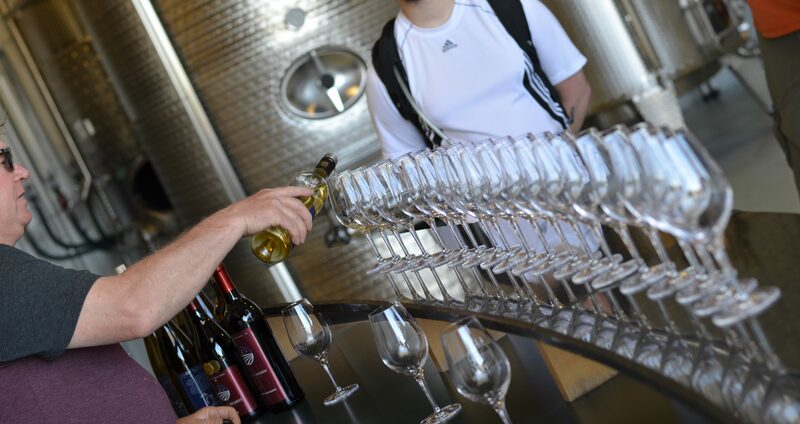 They invite you to take the opportunity to visit their winery and vineyards with a history dating back to 1865.